I’m off for a few days with my husband for a mini-break before the Christmas rush, and to get to a warmer place than Vancouver in November. I will be taking my computer loaded with my manuscript on Scrivener and continue to dedicate 3 hours a day to writing. It helps that I’m taking a course through Writer’s Digest on 12 Weeks to a First Draft. If you want to study human behaviors, a great place is to take $100.00 and go to the cheap poker table and study people as you blow your money. Dean assured the class that we would get our money’s worth! So with this realization I’m even more excited to go to Vegas! I don’t know the game of poker (well, a little bit only), but either I can learn or I can watch (and take notes) while my husband loses $100.00! Jane Friedman also had a guest blogger this week, John Williams at Glimmer Train, that addressed character as well. It is an issue for all writers and the more one learns about this aspect, I believe the more believable characters one can develop. C.S. Lakin that writes the blog livewritethrive.com is also an excellent resource for character development and many aspects of writing. This entry was posted in Writing and tagged character development, writer's journey by Karalee Greer. Bookmark the permalink. Sounds like you’re on a roll Karalee. Enjoy! (And thanks for the blog tips). Thanks Silk! So far I’ve watched people at the poker table. Still shy to sit down and try and play. I’ve never been one to gamble much. Writing is enough of a gamble for me! Thanks for the motivation, Karalee! I appreciate the resources you mention and provide links to. Just a heads up that the link to the C. S. Lakin blog doesn’t work, it links to another post on your blog. I hope that your husband’s $100 is well played (smile). Silk’s pun “on a roll” is quite relevant all around. Thanks Joyce! I’ve got the link fixed. Glad you are enjoying our blog. 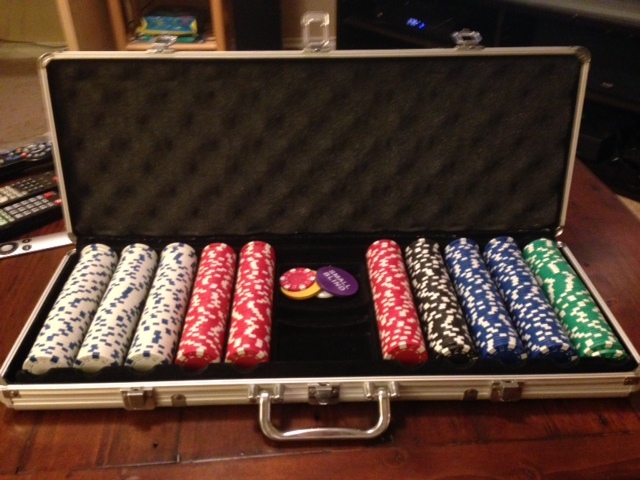 My husband didn’t play poker in the end. Neither of us know the game very well, so we tried Blackjack. Easy to lose money here too!